Their hearts still broken, hundreds of friends are expected to gather tonight to light up the sky above the Capital in honour of a tragic teenage schoolboy found dead just days before. The touching tribute comes as investigations continue into discovering just how 14-year-old Liam Rodgers died, after he was pronounced dead at a flat in West Richmond Street on Sunday. Emergency services rushed to the flat following a call to say that Liam wasn’t breathing but they could not save the teenager. His death is currently being treated as unexplained. Friends and family have now organised an event at 7pm this evening outside the Busy Bee pub in Saughton Mains that will see lanterns released into the sky in tribute. They are expected to turn out to pay their respects following a huge reaction on Facebook. Following his death, Liam’s aunt, Kerry Brown, has launched an online fundraising page aiming to raise £5,000 to give him the “send off he deserves”. On the JustGiving page, Kerry says: “I am setting up this page to help the family that have had their beautiful 14-year-old son taking away very suddenly on Sunday morning. “Liam Rodgers was a much loved young lad who still should have had a full life in front of him. “We would like to give him a final farewell send off that he deserves and to take a bit pressure off his parents as this would be a financial burden for the family to deal with at this time off the year. All donations will be greatly received. A Facebook page, ‘Liam Rodgers GBNF’, has been set up for people to leave their tributes and memories of the popular teenager. One of the heartfelt posts reads: “Liam, two days have passed and it still does not feel real. “You were the kindest boy and everyone who knew you loved you. You didn’t have a bad bone in your body. So many amazing memories. 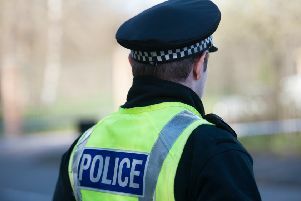 A spokeswoman for Police Scotland said: “Police in Edinburgh were called to a residential address in the south side area of the city around 11.20am on Sunday, December 10, following the death of a 14-year-old boy. “The death is currently being treated as unexplained pending further enquiries and support is being offered to his family at this very difficult time.